Citation: Ibrahim F, Deleu D (2018) Assessment of Non-adherence of Multiple Sclerosis Patients to Medication and Follow up Clinic. Health Sci J. Vol. 12 No. 2: 554. Copyright: © 2018 Ibrahim F, et al. This is an open-access article distributed under the terms of the creative commons attribution license, which permits unrestricted use, distribution and reproduction in any medium, provided the original author and source are credited. Multiple sclerosis (MS) is an immune mediated disease of the central nervous system (CNS) [1-3]. It affects mostly young adults and higher incidence rates have been reported in females and Caucasians [2,4]. While MS has been widely documented in the North America (Canada and USA) [5,6] data about MS in the Arab world is just beginning to emerge. In the Arabian Gulf countries, variation in MS prevalence rates have been reported, with highest prevalence rates in Kuwait (85.0/100,000) , intermediate rates in the Qatari population (64.6/100,000)  and lower prevalence in Dubai of the United Arab Emirates (54.8/100,000) . A 2013 study in Qatar reported MS cases predominantly in the native population, characterized by a mild clinical and aggressive radiologic disease presentation . Treatment for MS involves long-term disease-modifying therapies (DMTs) aimed at reducing severity of symptoms . Medication adherence in chronic diseases like MS plays an important role in predicting long-term outcomes. However, research has shown that long-term adherence to DMT represents a significant challenge for patients with MS . Barriers to treatment adherence in MS patients include chronic nature of MS, fear of injection and adverse events, perceived lack of efficacy, treatment fatigue, drug type, health system factors [6,11-16]. Non- adherence behavior is not only costly in terms of time, money and resources, but can also be detrimental to the doctor-patient relationship [11,17]. Evidence on adherence to medication for MS patients in the Gulf Cooperation Council and Qatar in particular is lacking. This represents a significant knowledge gap as health systems strive to relive patients of their symptoms. The proposed study will begin to fill the knowledge gap. The aim of this retrospective study was to determine the rate of non-adherence to disease modifying therapies (DMTs) among multiple sclerosis (MS) patients in Qatar and to identify reasons for patient discontinuation of long-term therapy. Detecting patients at risk of non-adherence before and during follow-up is a widely adopted recommendation of the Global Adherence Projects (GAP) in disease-modifying therapy in patients with MS . Understanding factors leading to nonadherence is vital for health services planning and improving care to MS patients. We adopted an observational prospective design and surveyed patients diagnosed with MS at the outpatient neurology clinic at Hamad General Hospital (HGH) from July 2010 to July 2012. Hamad General Hospital is a 500 bed tertiary hospital. Patients presenting MS symptoms are evaluated at the neurology unit for consideration of MS treatment. Often follow-up visits are scheduled at the time of the visit before a patient leaves the hospital. The standard is to schedule visits every 6 months. However, patients receive the patient educator’s contact phone number and they can call to book an appointment to see a treating consultant, or are guided to emergency department where applicable. The study was approved by the Medical Research Centre and ethics committee at Hamad Medical Corporation (proposal no. 10187/10_RC). Study sample included all patients previously diagnosed with MS, who fulfilled 2010 revised McDonald criteria . Newly diagnosed patients were excluded as they would be at onset of treatment and would not have had enough experience with the treatment to fit our assessment of adherence to treatment and follow-up. Upon receiving ethics approval patients previously diagnosed with MS were contacted invited to participate in a survey. A brief one page questionnaire was developed to assess adherence with medication and clinic follow-up. Participants responded ‘yes’ or ‘No’ to questions assessing non-compliance with injection, medication, follow-up clinic, social issues. A volunteer from the neurology unit administered the questionnaire and created an electronic data file to be used for subsequent data analysis and reporting. Participants were surveyed face to face using a questionnaire that included demographic information age, gender, nationality, educational level and occupation. Descriptive data analysis was computed using SPSS version 20. Frequencies and percentages were used to describe study sample and to assess adherence to medication and follow-up clinic. Participants who answered ‘yes’ to questions assessing noncompliance with injection, medication, follow-up clinic, and social issues were deemed non-adherent. A majority (51%) of participants were between the age group 31-51 years, were female (54.9%), non-Qatari (51%), unemployed (58.8%), had a diploma or pursuing studies at the time of the research (52.9%) as illustrated in Table 1. Table 1 Demographic characteristics of study participants (N=51). Questions that assessed study participant’s adherence to medication and follow-up clinics are summarized in Table 2. Table 2 Assessment of adherence to medication and follow-up visits. Study participants mostly reported ‘fear from self-injection’ (39.2%) as the reason for noncompliance with injection; meanwhile 13.7% identified ‘insufficient instruction by educator’ or ‘misunderstanding by patient’ respectively as other reasons for noncompliance. Chronic condition of MS and fear of side effects from medication complication were the most reported reasons for noncompliance with medication. Overall, 45.1% of respondents reported chronic condition of disease as reason for noncompliance. With regards to fear from side effect of medication or complication, 37.3% of respondents identified skin discoloration (injection site symptoms that may include redness, pain, swelling, blue or black color spots) as the reason for noncompliance with medication, meanwhile 70.6% identified physical tiredness after injection as the main reason for noncompliance. Financial problems were the least reported (19.6%) reason for noncompliance with medication. Appointment timing and environmental factors were the prevalent reasons for noncompliance with follow-up visits. With regards to appointment timing, 39.2% of respondents attributed their noncompliance to the number of hours waiting inside the hospital. On the other hand 47.1% identified the number of weeks or months waiting inside the hospital as the reason for noncompliance with follow-up visits. Difficulty finding parking was identified by 51% of respondents as a reason for noncompliance with follow-up visits appointments. Stigma, poor understanding of the disease process, poor physician-patient relationship, respectively were the least prevalent (11.8%) reasons for noncompliance with follow-up visits (Table 2). Social issues provided an overall assessment of noncompliance by MS patients to medication and follow-up visits. In other of importance noncompliance was attributed to factors including: disruption in lifestyle (54.9%), poor social support (29.4%) and cultural and family pressures (21.6%). The purpose of this study was to assess adherence by MS patients to medication and follow-up visits. We surveyed a cross section of patients previously diagnosed with MS who met McDonald criteria and volunteered to participate in the study. Overall, there were variations in reported adherence to medication and follow-up visits. Numerous reasons were advanced to explain the fewer adherences. Amongst them, fear from self-injection emerged to be a main reason for nonadherence with injection. This finding has implications for treatment of MS especially for patients who have to self-inject to manage MS.
Non-adherence to medication was well documented in this study. The chronic condition of the MS and fear of medication side effects were the main reasons for non-adherence with medication. How chronic condition of MS impacted medication could not be well explained. It appears that chronic condition impedes ability to take medication as requested. Fear of medication side effects and or complications expressed through skin discoloration, and or physical tiredness after injecting medication was concerning to participants. Two factors stood out to explain non-adherence to followup visits including appointment wait times and difficulty finding parking. In this study, the number of hours participants waited inside hospital before being seen by a care provider emerged as a reason for not complying with follow-up visits. Similarly waiting time in terms of weeks and months waiting to have an appointment for follow-up was another reason. Additionally, not being able to find space to park a car emerged as an environmental factor enhancing non-adherence with follow-up visits. It emerged in this study that social support played an important role in understanding non-adherence with medication and follow-up visits. All three factors assessed – disruption in lifestyle, poor social support and cultural and family pressures were identified as impediments to adherence. The findings observed are in line with other studies that have attributed non-adherence to MS DMTs to the chronic nature of MS, fear of injection and adverse events, medication, and health system factors [6,11-15], likewise impacting the doctor-patient relationship [11,17]. This study is a pilot involving a limited number of patients previously diagnosed with MS. It uses a very brief questionnaire to provide a picture of adherence to medication and follow-up visits by MS patients. In comparison with other tools used for assessing adherence to medication by MS patients, that used in this study is limited in scope. Sampling was prospective, without a clear delimitation of those eligible to be able to estimate MS prevalence as well as survey response rate. As such, the findings need to be interpreted with caution. Nevertheless, this pilot study represents a first step in understanding challenges with managing MS, an emergent ailment in Qatar. Building on the findings specific strategies can be formulated to enhance services and support systems to improve care for MS patients. To our knowledge, this study represents the first examination of reasons for non-adherence to DMTs in patients with MS in the Middle East. The relatively high rate of nonadherence found in Qatar requires further investigation, especially given the non-adherent patients’ relatively young age and low overall disease-related disability. Factors predisposing patients to discontinue their DMTs should be identified early and discussed openly. Patient expectations concerning treatment and its influence on the disease course are a factor in adherence to long-term therapy. Health-care providers must recognize the pivotal role they play in influencing adherence through education and advocacy. Although suboptimal adherence to MS therapies remains a problem and may affect long-term disease progression, various strategies such as the development of new injection devices, educating patients on appropriate measures to alleviate or decrease adverse events and the recent development of oral therapies may make these treatments more acceptable to patients. There is need for further research on MS patients in Qatar. 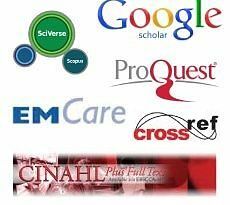 This includes using a fully developed tool to assess MS patient compliance with recommended treatment for the ailment. Further research could also examine the doctor patient relationship, a vital aspect of care to improve the quality of life of the patient. This study has documented noncompliance with medication regimen for tackling MS in a cohort of patients attending the neurological clinic at Hamad General Hospital. Fear of medication, chronic state of MS disease, medications side effects, waiting time and parking difficulties emerged as the major reasons impeding adherence to medication and followup visits. There needs to further investigate these factors to inform the process of care of patients with MS. The author thanks Ms. Nusaiba Abdulla, RN, Patient Educator for data entry and Neurology Department at HGH for their support. Data used for this study is available from the corresponding author. Any request for this data will require author seeks approval from Research Ethics Committee. FI and DD planned the study. FI collected data, and wrote the manuscript DD revised the manuscript. Both authors read and approved the final manuscript. Patejd R, Penner IK, Noack TK, Zettl UK (2016) Multiple sclerosis and fatigue: A review on the contribution of inflammation and immune-mediated neurodegeneration. Autoimmunity Rev 15: 210-220. Noseworthy JH, Lucchinetti C, Rodriguez M (2000) Multiple sclerosis. New Eng J Med 343: 938-951. Poser CM, Paty DW, Scheinberg L, McDonald WI, Davis FA, et al. (1983) New diagnostic criteria for multiple sclerosis: guidelines for research protocols. Ann Neurol 3:227-231. Callegaro DD (2005) Epidemiology aspects. In: Tilbery CP (ed. ), Multiple sclerosis in Brazil: clinical and therapeutic aspects.Atheneu, São Paulo. pp:13-15. Nilsagard Y, Gunn H, Freeman J, Hoang P, Lord S, et al. (2015) Falls in people with MS – an individual data meta-analysis from studies from Australia, Sweden, United Kingdom and United States. Mult Scler 21: 92-100. Evans C, Marrie RA, Zhu F (2016) Adherence and persistence to drug therapies for multiple sclerosis: A population-based study. Mult Scler Relat Disord 8: 78-85. Alroughani R, Ahmed SF, Behbahani R, Khan R, Thussu A,et al. (2014) Increasing prevalence and incidence rates of multiple sclerosis in Kuwait. Mult Scler 20:543-547. Deleu D, Mir D, Al Tabouki A, Mesraoua R, Mesraoua B, et al. (2013) Prevalence, demographics and clinical characteristics of multiple sclerosis in Qatar. Mult Scler 19:816-819. 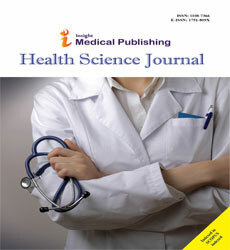 Inshasi J, Thakre M(2011) Prevalence of multiple sclerosis in Dubai, United Arab Emirates. Int J Neurosci 121:393-398. Akhtar N, Elsetouhy A, Deleu D, Kamran S, AlHail H, et al. (2013) Newly diagnosed multiple sclerosis in State of Qatar. Clin Neuro Neurosurg 115: 1333-1337. Costello K, Kennedy P, Scanzillo J (2008) Recognizing non-adherence in patients with multiple sclerosis and maintaining treatment adherence in the long term. Medscape J Med 10: 225. Jernas L, Wencel J, Bartosik-Psujek H(2016) Risk factors for poor adherence to betaferon treatment in patients with relapsing-remitting multiple sclerosis or clinically isolated syndrome. PLoS One 11:e0157950. Locklear J, Phillips A, Munsell M, FreanM, MenzinJ (2015) An assessment of adherence among multiple sclerosis patients newly initiating treatment with self-injectable versus oral disease-modifying drug(P3.281). Neurology 84. Remington G, Rodriguez Y, Logan D, Williamson C, Treadaway K(2013) Fasciliatating medication adherence in patients with multiple sclerosis. Int J MS Care15:36-45. Higuera L, Carlin CS, Anderson S (2016) Adherence to disease-modifying therapies for multiple sclerosis. JMCP 22: 1394-1401. Arroyo E, González M, Grau C, Parra J, Sánchez-Soliño O, et al. (2011) Adherence to disease modifying therapies in Spanish patients with relapsing multiple sclerosis: Two year interim results of the global adherence project. EurNeurol65: 59-67. Katsarava Z, Ehlken B, Limmroth V, Taipale K, Patel SN,et al. (2015) Adherence and cost in multiple sclerosis patients treated with IM IFN beta-1a: Impact of the CARE patient management program. BMC Neurol 15:170. Polman CH, Reingold SC, Wollinsky JS (2011) Dianotic criteria for multiple sclerosis: 2010 Revisions to the McDonald criteria. Ann Neurol 69: 292-302.